A paradoxical increase or loss of the normal physiological pattern of decreasing jugular venous pressure (JVP) with inspiration is commonly referred to as Kussmaul's sign. This clinical sign indicates the presence of significant pericardial constriction. Adolf Kussmaul was born on February 22, 1822, in Wurzburg, Germany [Figure 1]. The oldest of seven children, both his grandfather and father being physicians, he was exposed to medicine from a young age. He excelled in his studies at the University of Heidelberg and was appointed as a Professor of Medicine in 1845 at the young age of 23 years. He had diverse clinical interests and included almost all the aspects of medicine. 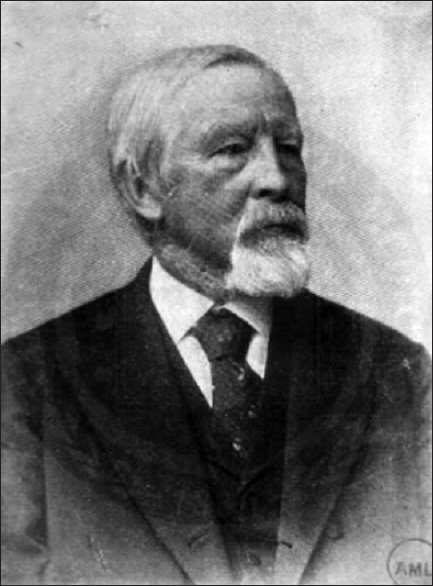 Figure 1: Adolf Kussmaul (1822–1902). He is also credited with the vivid description of abnormal labored breathing of diabetic ketoacidosis, commonly known as Kussmaul's breathing. Kussmaul died of coronary atherosclerosis at the age of 80 years on May 28, 1902. The jugular venous pulse is observed with the patient in sitting or semi-reclining position. A beam of light is then shone obliquely at the right internal jugular vein between the two heads of the sternocleidomastoid muscle and the upper level is determined. The pre- and post-inspiratory rise of the upper level of the JVP is observed to ascertain the presence or absence of Kussmaul's sign. In healthy individuals, pressure within the pleural, pericardial, and mediastinal cavity is nearly equal, due to the compliant of pleura and pericardium. In a disease-free state, inspiration creates negative intra-pleural (intra-thoracic) pressure, while the contraction of the diaphragm creates an increase in the intra-abdominal pressure. This pressure difference increases the rate of the venous return to the right side of the heart. The right atrium, right ventricle (RV) and the pulmonary vasculature being low pressure, and compliant chambers redistribute the increased return during inspiration without an appreciable rise in the right atrial pressure. In patients with constrictive pericarditis, on the other hand, the pericardium is noncompliant and result in the failed redistribution of increased systemic venous return. Consequently, the pressure in the right atrium rises much more than the fall in pleural pressure causing inspiratory distension of the neck veins. Impaired right ventricular filling and function due to the right-sided myocardial infarction, massive pulmonary embolism, right-sided heart failure, and tricuspid stenosis. Failure of cardiac chambers to accommodate increased venous return, especially on the right side and elevated atrial pressure is the prerequisites for Kussmaul's sign to be demonstrable. However, in left heart failure leading to congestive features, the physiological compliance is still maintained and thus the Kussmaul's sign is negative. Why No Kussmaul Sign in Cardiac Tamponade? The presence of Kussmaul's sign in patients with constrictive pericarditis and/or restrictive cardiomyopathy and not cardiac tamponade can be accounted for the physiological differences in filling patterns. In constrictive pericarditis or restrictive cardiomyopathy, the restriction to diastolic filling of the RV is prevented by the fixed, less compliant constricting pericardium or myocardium, respectively. That is, there is a loss of the effective “elastance” of the thin-walled RV at higher filling volumes. Furthermore, the inspiratory thoraco-abdominal pressure gradient is not transmitted to the cardiac chambers because of the inelastic pericardium. This results in the paradoxical increase in the JVP with inspiration. In cardiac tamponade, there is “coupled constraint” on both the left ventricle (LV) and RV because the increase in intra thoracic pressure is transmitted equally through the pericardium to both the ventricles compressing the entire heart during inspiration. Due to the greater ventricular interdependence, increased inspiratory filling of the RV results in a proportional reduction in filling of the LV causing pulsus paradoxus and not Kussmaul's sign. Thus, compared to the “coupled constraint” in cardiac tamponade, there is an “uncoupled restraint” in constrictive pericarditis wherein the restrain on the thin-walled right ventricular is more than the LV. Meyer TE, Sareli P, Marcus RH, Pocock W, Berk MR, McGregor M. Mechanism underlying Kussmaul's sign in chronic constrictive pericarditis. Am J Cardiol 1989;64:1069-72. Takata M, Beloucif S, Shimada M, Robotham JL. Superior and inferior vena caval flows during respiration: Pathogenesis of Kussmaul's sign. Am J Physiol 1992;262(3 Pt 2):H763-70. Johnson SK, Naidu RK, Ostopowicz RC, Kumar DR, Bhupathi S, Mazza JJ, et al. Adolf Kussmaul: Distinguished clinician and medical pioneer. Clin Med Res 2009;7:107-12. Bilchick KC, Wise RA. Paradoxical physical findings described by Kussmaul: Pulsus paradoxus and Kussmaul's sign. Lancet 2002;359:1940-2. Mansoor AM, Karlapudi SP. Images in clinical medicine. Kussmaul's sign. N Engl J Med 2015;372:e3.